Optimistic futuristic! Every futurist should read this book. A good fantasy science fiction novel paints a picture of the future in an outline not just of a wishful present day but of an optimistic future. This genre pushes the possibility of any technology-driven goal. 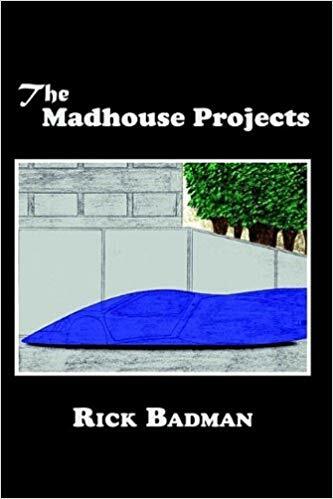 The novel “The Madhouse Projects” (AuthorHouse; 2002) by Rick Badman will bring readers in awe of an optimistic future. “The Madhouse Projects” attests to the fact that technological advancements will start in the automotive industry, as in the case of Thurman, the story’s protagonist, who is an automotive engineer. He and various people embark on a mission to make the world better. However, as in the case of many scientific and technological innovators, they face extreme opposition from outside forces. Of course, innovation will always have its enemies. What is Thurman and his allies inventing and why do they face resistance? Will they succeed… or give in to opposition? Find that out in Rick Badman’s “The Madhouse Projects.” Order a copy today through Amazon (https://www.amazon.com/Madhouse-Projects-Rick-Badman/dp/075967051X) and Barnes & Noble (https://www.barnesandnoble.com/w/the-madhouse-projects-rick-badman/1005240950). This fantasy science fiction book will soon be displayed at the upcoming 2018 Miami Book Fair on November 16 -18 at the Miami Dade College’s Wolfson Campus in Downtown Miami.